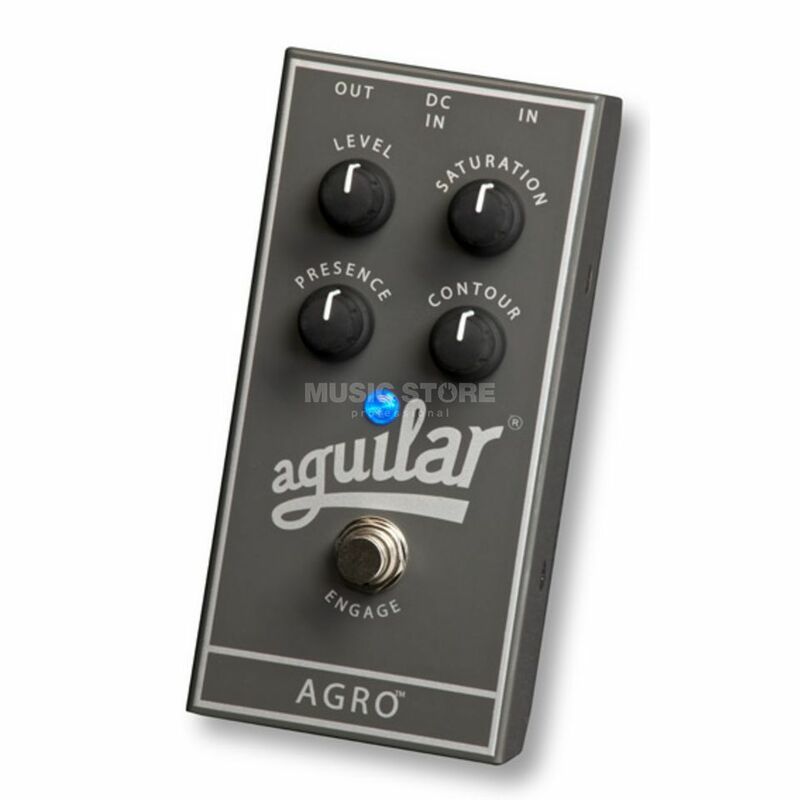 The Aguila Agro Bass Guitar Effects Pedal is a bass overdrive based on the saturation channel of Aguilar's AG 500 bass head. Capable of producing everything from warm, tube-like overdrive to full on distortion, this pedal will give you the grind you need without sucking out your low end. The Agro offers a wealth of overdriven sounds within an easy to use, four-knob layout. The Saturation control offers a tremendous range of distortion while the Contour control allows you to dial in a scooped or a more aggressive boosted midrange sound. The Presence knob adds the right amount of 'attack' ensuring that your bass remains defined even with the most saturated settings. The output level control guarantees that you'll be able to get the distortion you want at any volume level.